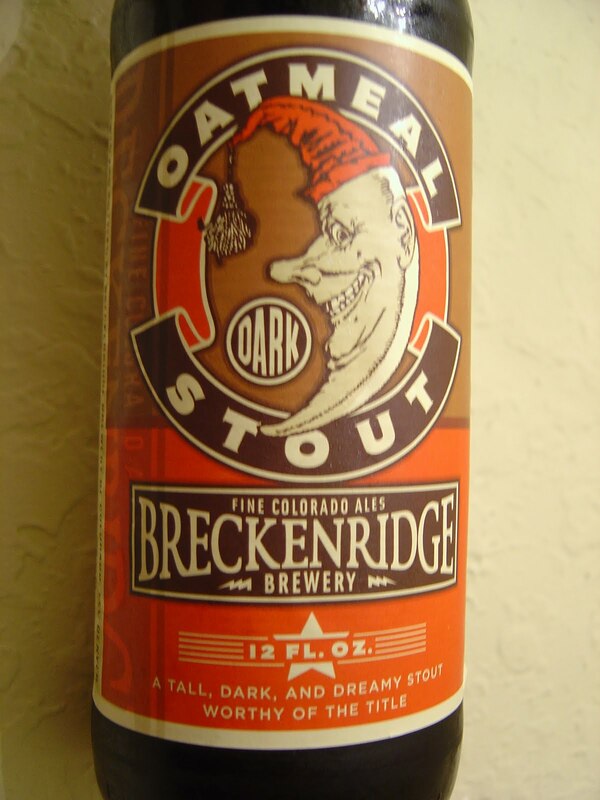 Today I'm drinking Breckenridge Oatmeal Stout brewed by Breckenridge Brewery in Denver, Colorado. This brewery has had their beers in Florida for a while, but not in South Florida until very recently. The bottle depicts a moon wearing a cap and grinning a suspicious smile while seemingly saying DARK. 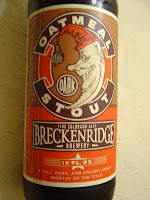 The bottle caption goes on to call this beer "a tall, dark, and dreamy stout worthy of the title". 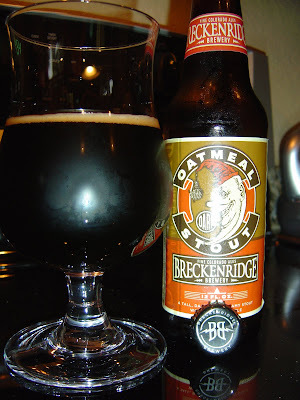 The aroma is pretty weak, with faint hints of burnt and roasted chocolate. The flavors? Much better. Roasted malt with bitter chocolate starts things off, with some lightly burnt nuttiness right behind that. I also noticed from the beginning how smooth this beer is, considering some in the style have that harsh angry bitterness in your mouth. Definitely a smoky beer with just a hint of spice. Low to medium carbonation is OK. Not a bad beer though I'd prefer less burnt and much less smoke, but that's probably just me. I know others enjoy those aspects and that I should just keep my personal preferences out of it. Am I right? To stay with the label theme... Dream On! Check it out! Sorry the pictures aren't up to their normal fabulousness. Had to take them indoors. There's been a monsoon outside all day long.